A sunroom is a blessing that allows you to absorb the lovely rays of the sun and to warm your home and your heart from the inside out. 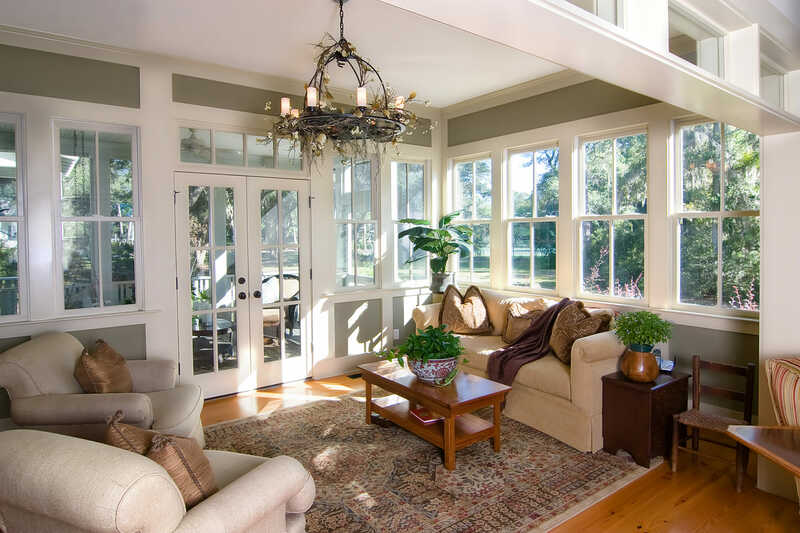 Whether you have just built a sunroom into your home or you’ve moved into a house with a sunroom, take a moment to consider what you can do with it. A sunroom on its own is lovely enough, but if you put just a little bit of time and trouble into decorating it, there is no end to the beauty you can create. It seems like a natural connection, but so few people are ready to make it. With a sunroom, you are looking at one of the brightest areas of your home. If you’ve got the brightness, why not bring in the things that need it to live? Plants love living in the sunroom, and you will find that you are bringing a small amount of fresh air and life into your room. This is the place for your big plants, the unruly snake plants, and the trailing ivy and spider plants that don’t fit anywhere else. The plants that you choose can be water lovers or they can be succulents, or you might even go after a small herb garden, but simply throw some in and have a great time. There is something beautifully old-fashioned about a sunroom, and when you are trying to recall a little bit of traditional ease and grandeur, think about choosing wicker furniture for that lovely classic feel. However, wicker is not always the most comfortable furniture substance, so why not take a moment to think about looking for wicker chairs and couches that have cushions on them? This allows you to lounge away the day in comfort. When you have plants and sun, why stop there? Add a little bit of water to the entire scene with a small table fountain. A table fountain that sits on a dedicated table adds white noise to the environment, and before you know it, you are going to feel yourself start to relax as your eyes drift shut. A table fountain can be as simple or as luxurious as you like, and this is something that adds both an auditory sound and a gleaming visual element to your home. It might seem a little odd to put so much effort into bringing the sun into your home only to block it out the next moment, but sometimes that is what you need to do. For example, when the sun is at its hottest, you might want to cool things down with white gauze or muslin curtains. These curtains diffuse the light for you, allowing you to have a lovely misty look in your beautiful little refuge. Sometimes you want to complete the luxury of your sunroom by piping in some music. Your Mp3 player certainly does the job, but why not simply put in a whole sound system? This allows you to create a mood and an atmosphere at the push of a button, and you will also have a lovely way to simply relax when you want to listen to something deliciously soothing.